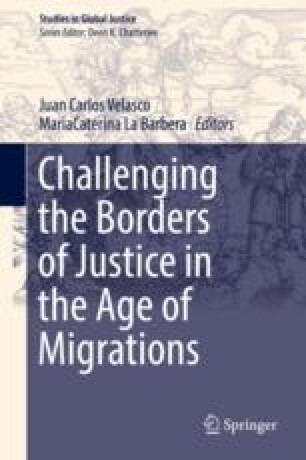 This chapter focuses on the suffering caused by being seen and treated as a migrant or asylum seeker. It establishes a parallel between this form of suffering and that experienced by people living in economically developed countries who have become economically “useless.” It discusses some of the mechanisms leading to social suffering, namely those connected to pervasive doctrines, defined as a system of beliefs and values, and of social norms and social practices that permeate the structure of a society and influence social interactions. Finally, the chapter discusses a fictional depiction of the suffering of migrants: the movie Bread and Chocolate by Franco Brusati.